A year ago, Hurricane Josephine swept through Savannah, Georgia, leaving behind nothing but death and destruction--and taking the life of Dovey's best friend, Carly. Since that night, Dovey has been in a medicated haze, numb to everything around her. But recently she's started to believe she's seeing things that can't be real...including Carly at their favorite caf . Determined to learn the truth, Dovey stops taking her pills. And the world that opens up to her is unlike anything she could have imagined. 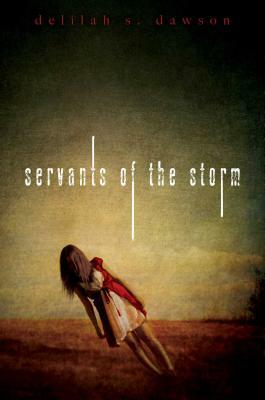 As Dovey slips deeper into the shadowy corners of Savannah--where the dark and horrifying secrets lurk--she learns that the storm that destroyed her city and stole her friend was much more than a force of nature. And now the sinister beings truly responsible are out to finish what they started.